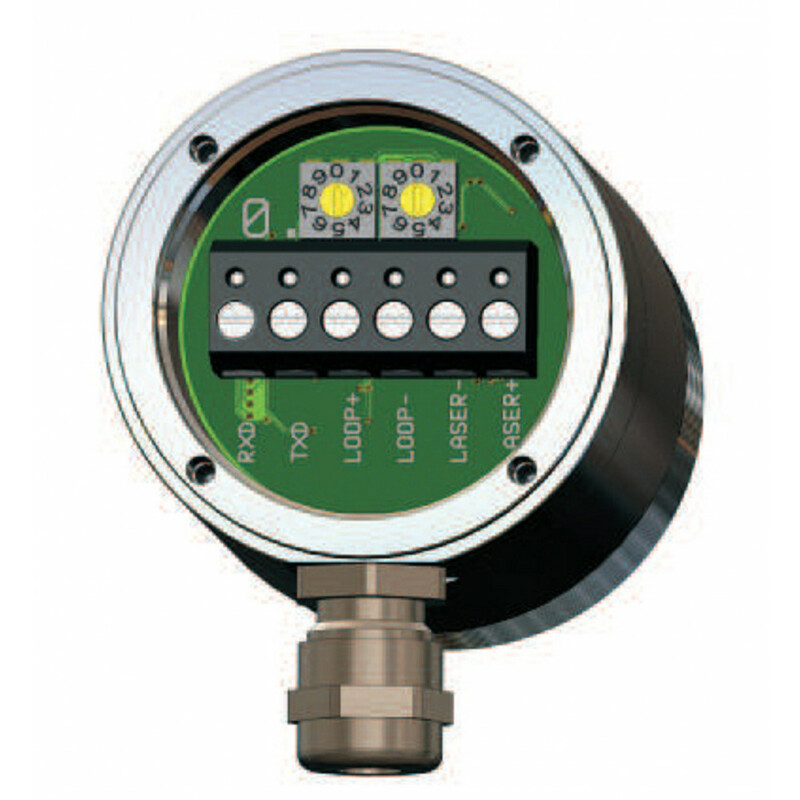 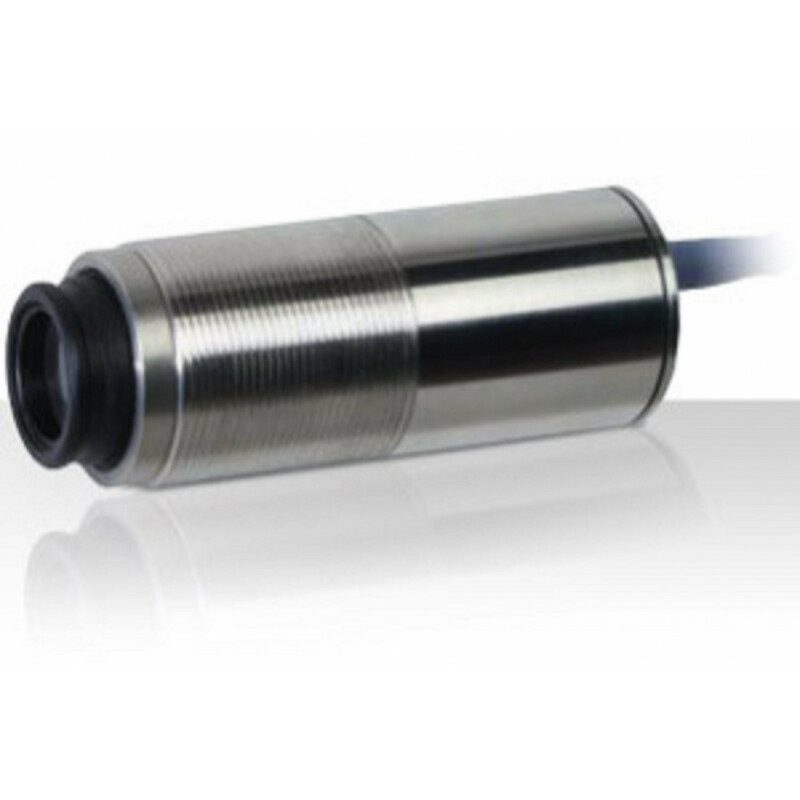 The Process Sensors model Metis M3 is highly unique with advanced design through customization, and adaptability outperforming any conventional pyrometer on the market today. The M3 has the ability to be used in ambient temperatures up to 80°C, with fiber optic versions on the optical head rated up to 250°C.  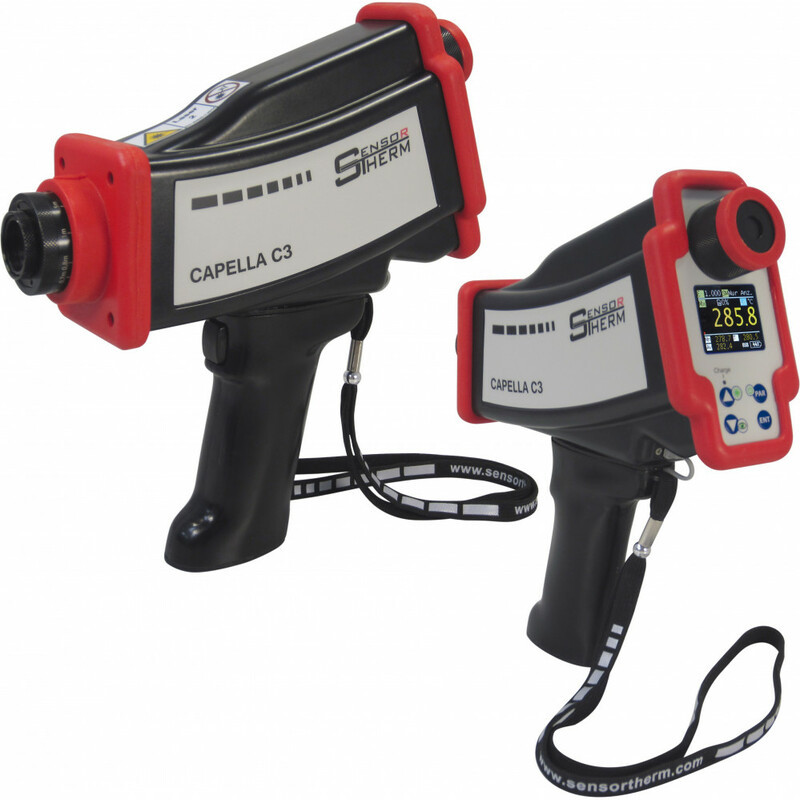 The free user-friendly SensorTools software provides 1 point calibration program and can easily be calibrated via a PSC Black Body Calibration Source. 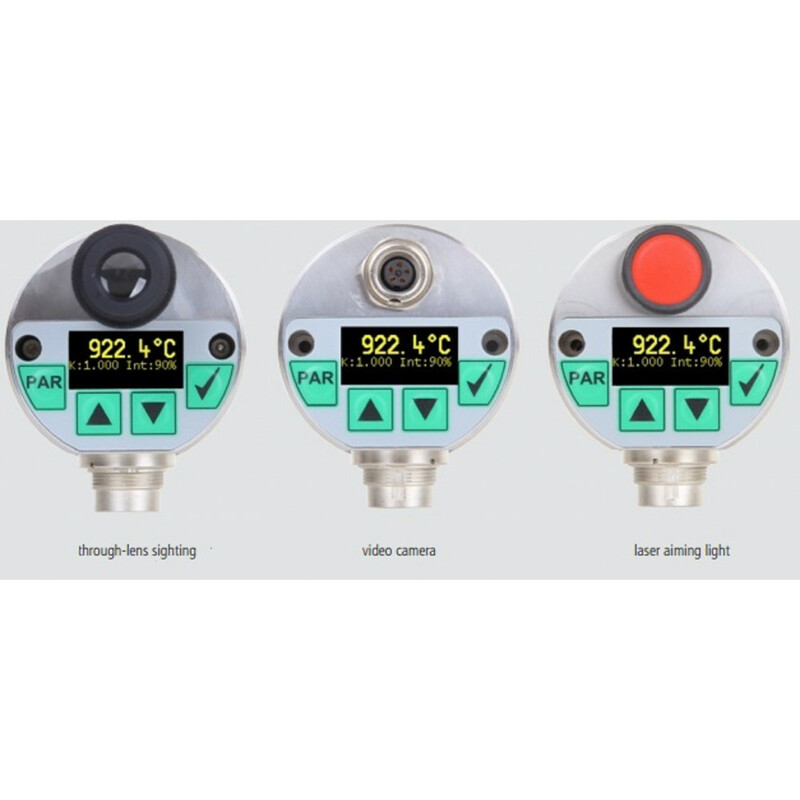 Superior to analog technology and based on the latest electronic high resolution 16 bit digital signal processing, the M3 provides convenient universal configuring via the Metis M3’s integrated keypad and 10-digit display, enabling all settings to be easily manipulated by the user.. 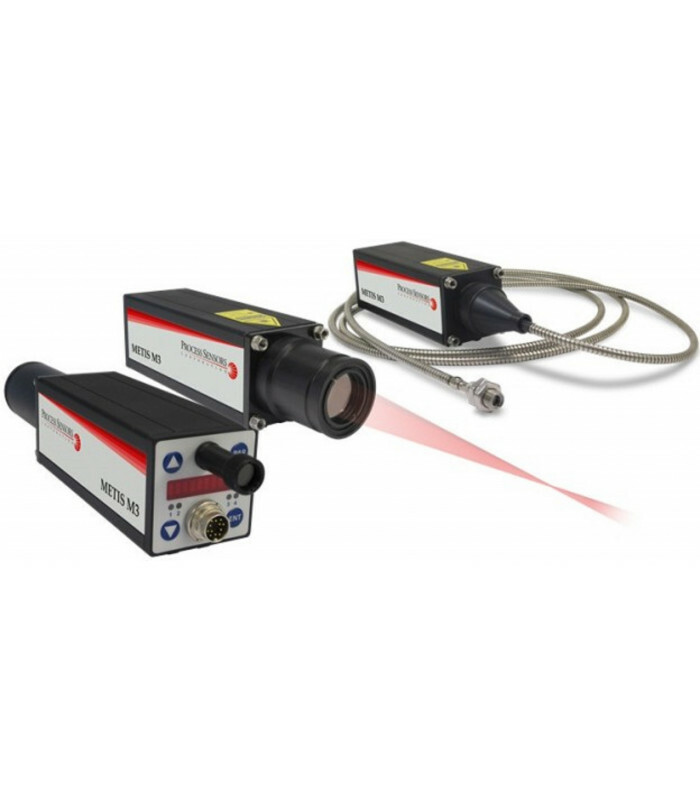 Equipped with many new features, such as digital inputs and outputs as well as an increased accuracy of 0.25%, it meets the highest industry demands. 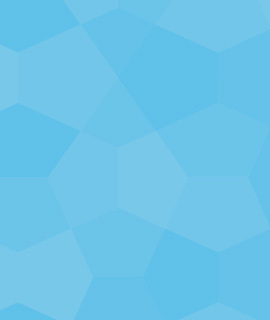 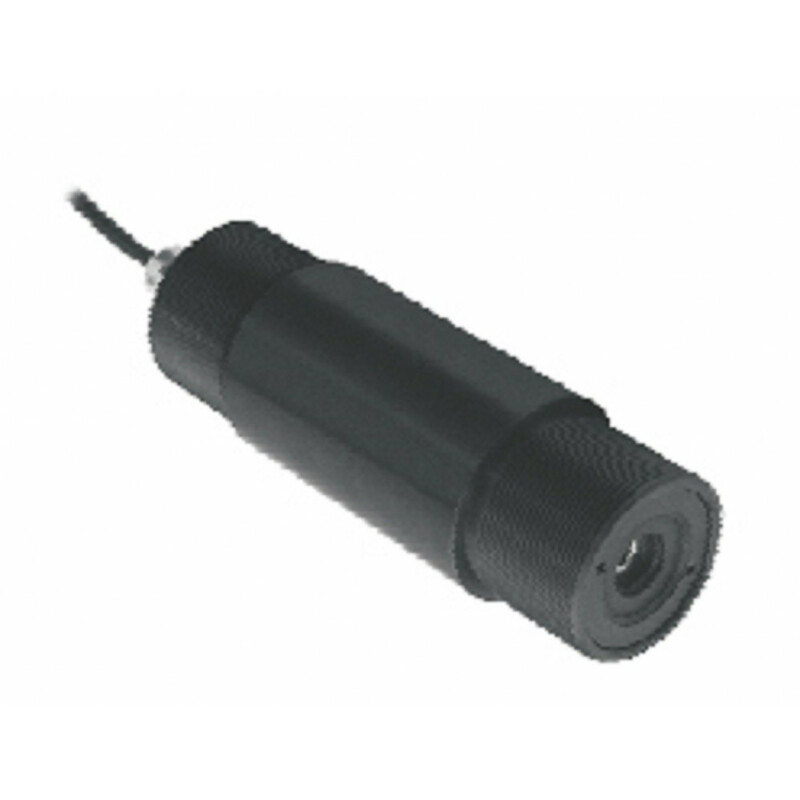 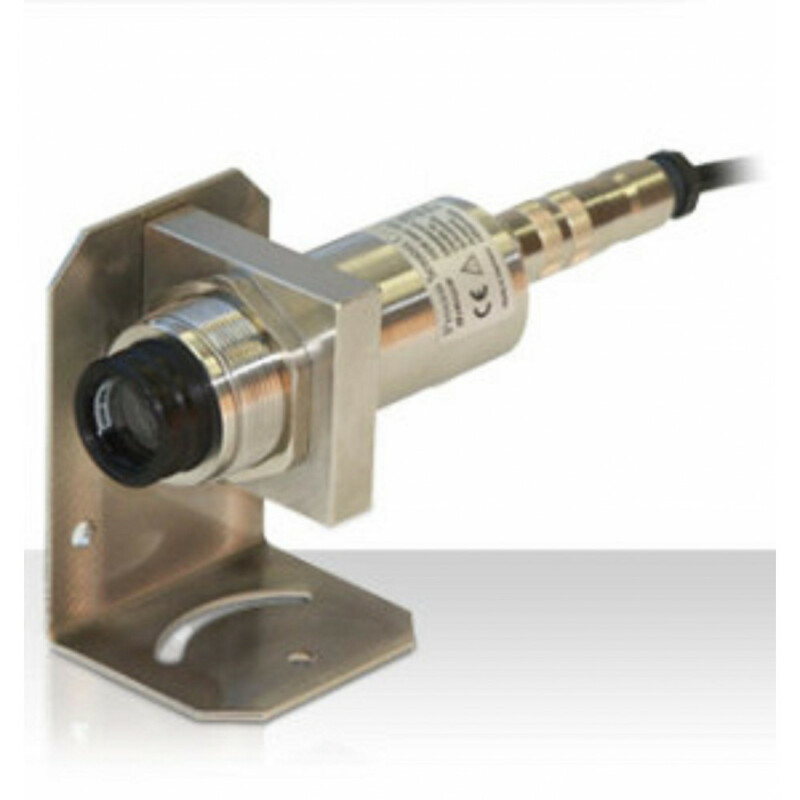 The sensor’s built-in video chip offers the ability to view in real time, a color composite video that can be displayed on a video monitor or PC using a standard off-the-shelf video to USB frame grabber. 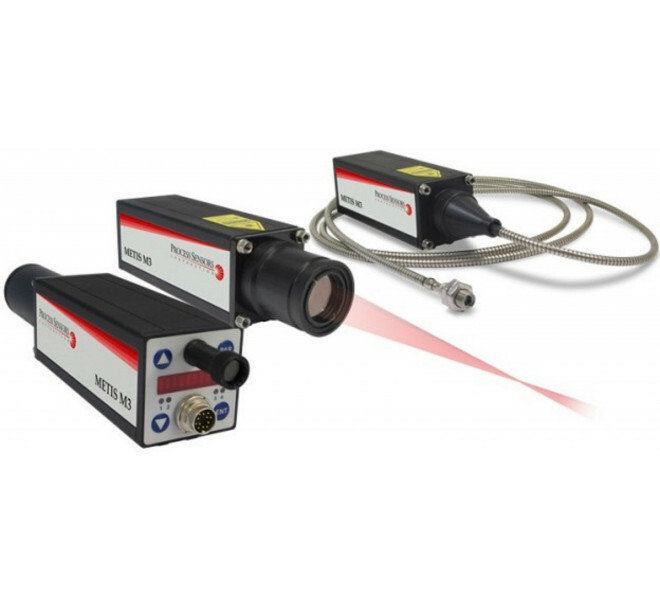 Offered in both single and dual wavelength versions, the Metis M3 offers manually adjustable focus, fixed focus or remote motorized focus optics. 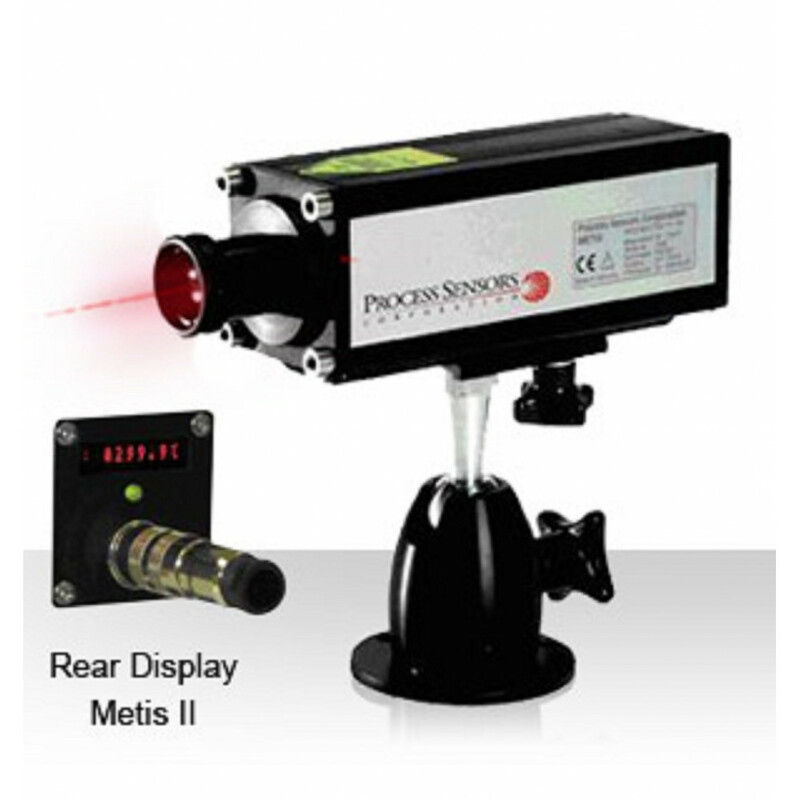 The precise alignment of the target is accomplished by laser, through lens sighting or real-time color video. 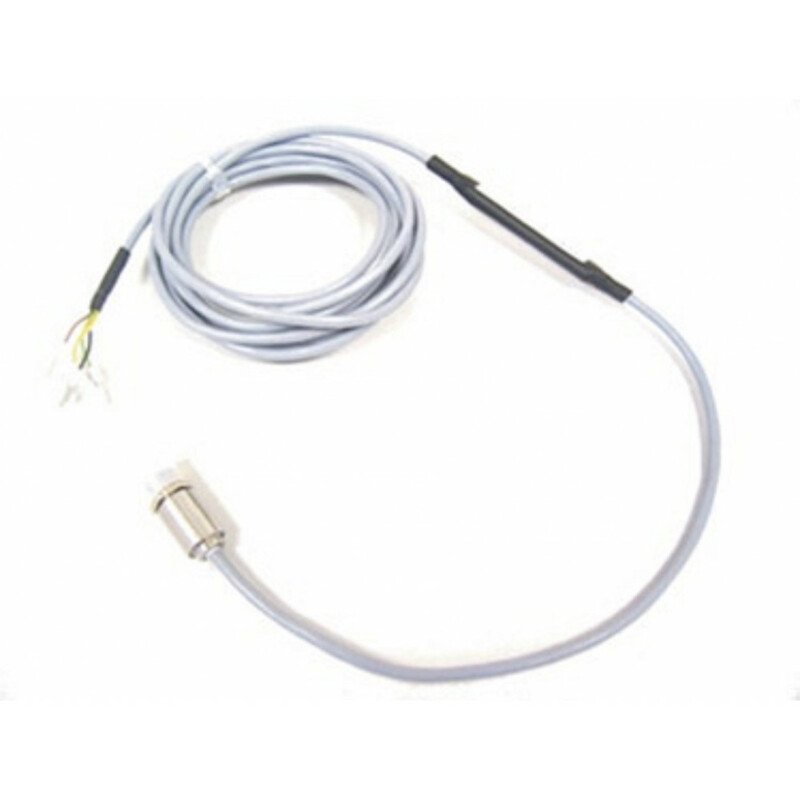 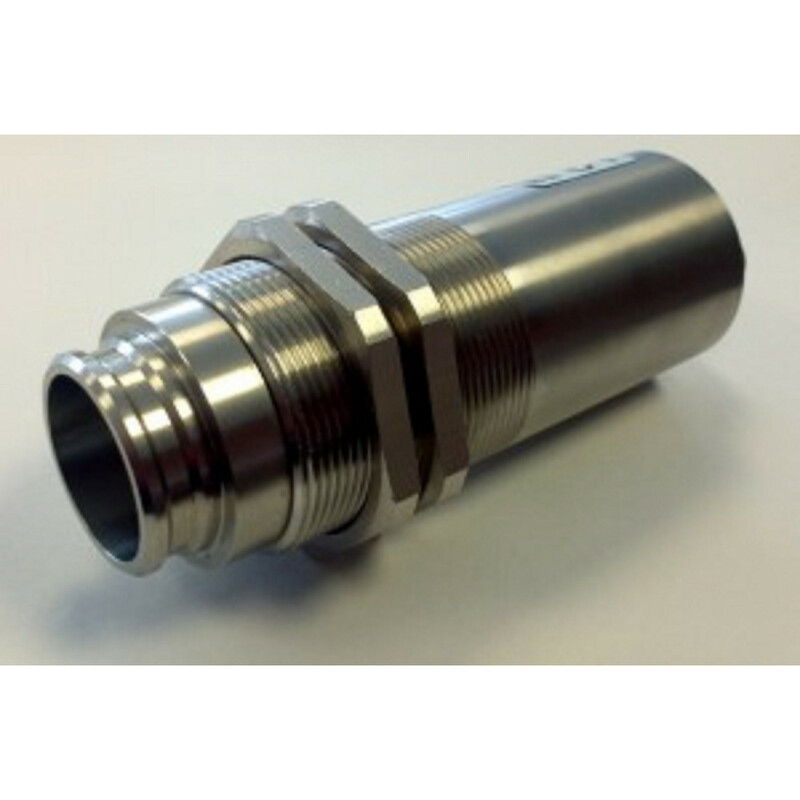 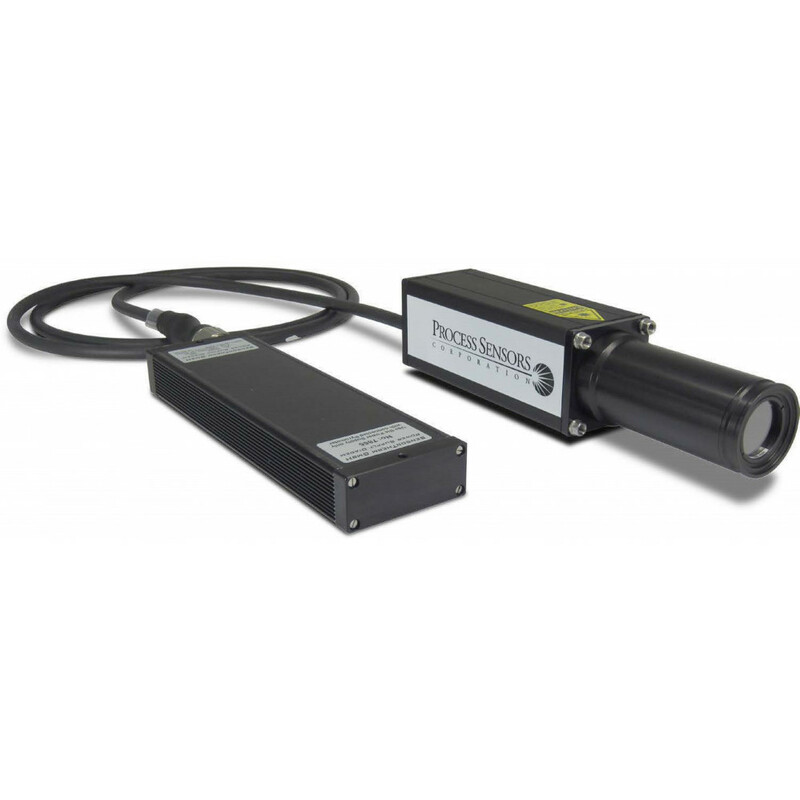 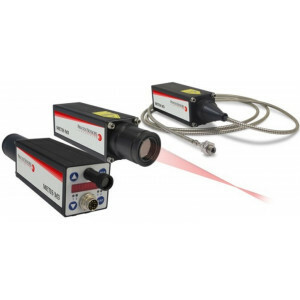 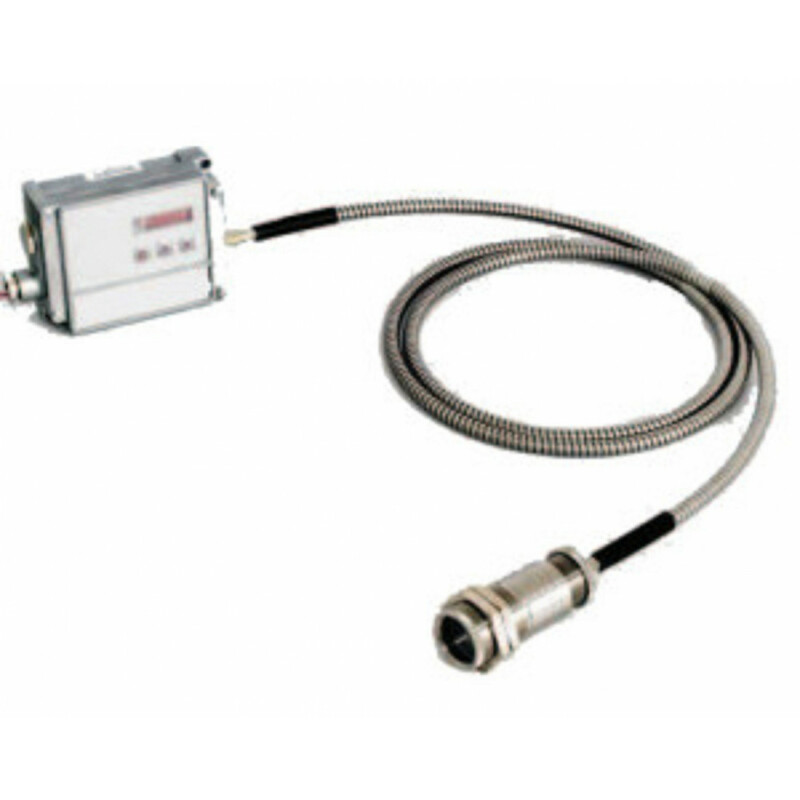 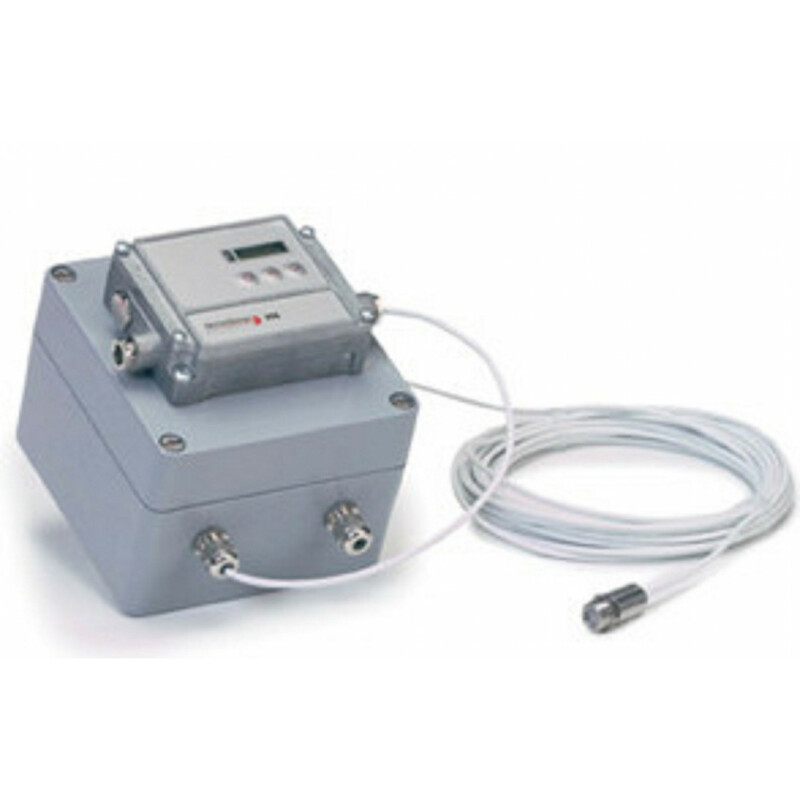 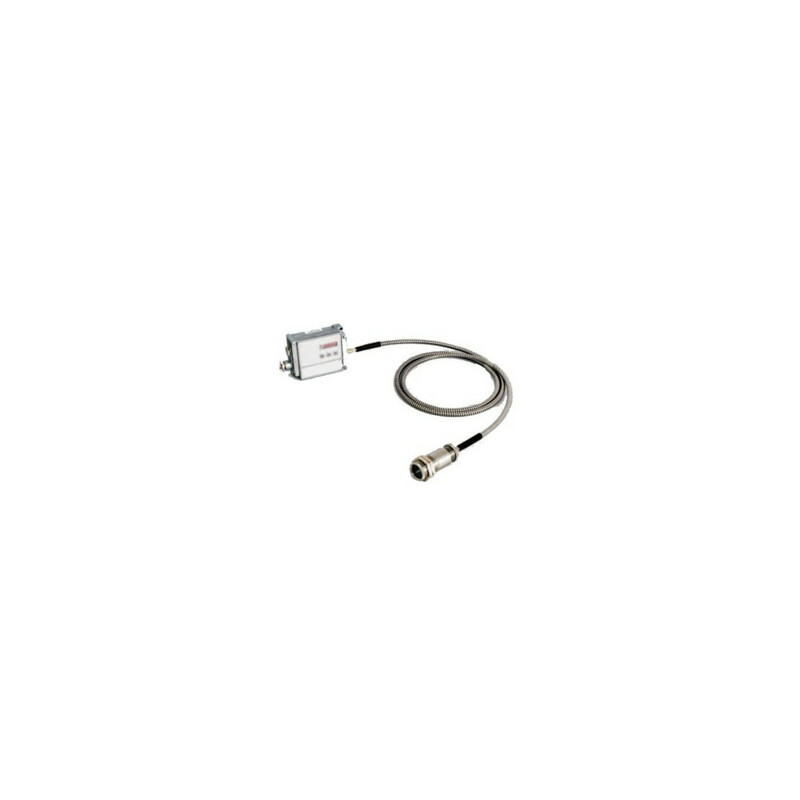 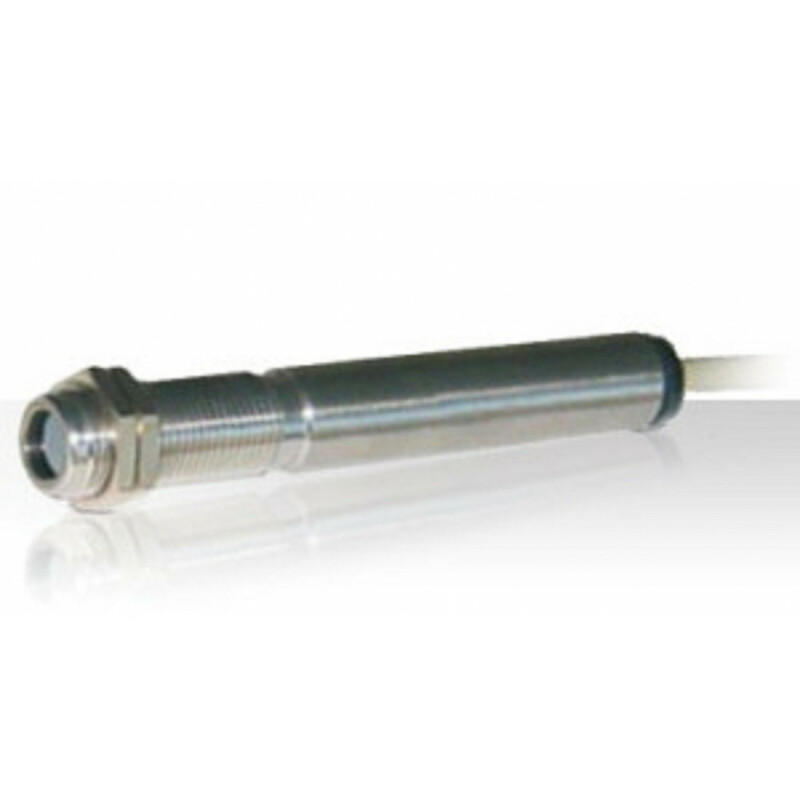 The M3 is available in either single wavelength or two color pyrometer versions utilizing photon type detectors. 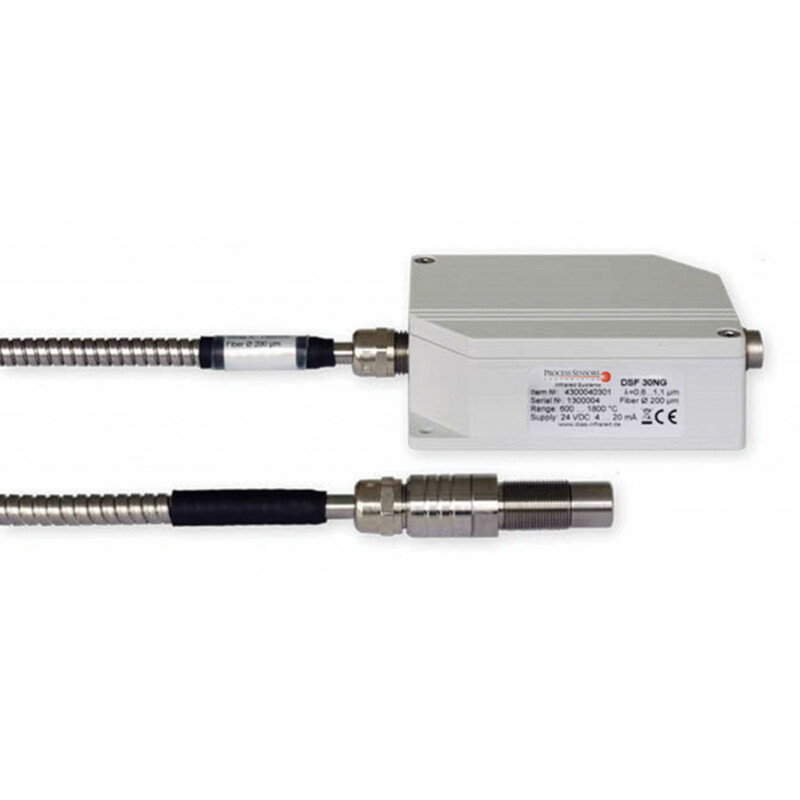 The high-speed serial digital interface and two high-resolution 16-bit analog current outputs are adjustable and configurable for a precise output of temperature measured values. 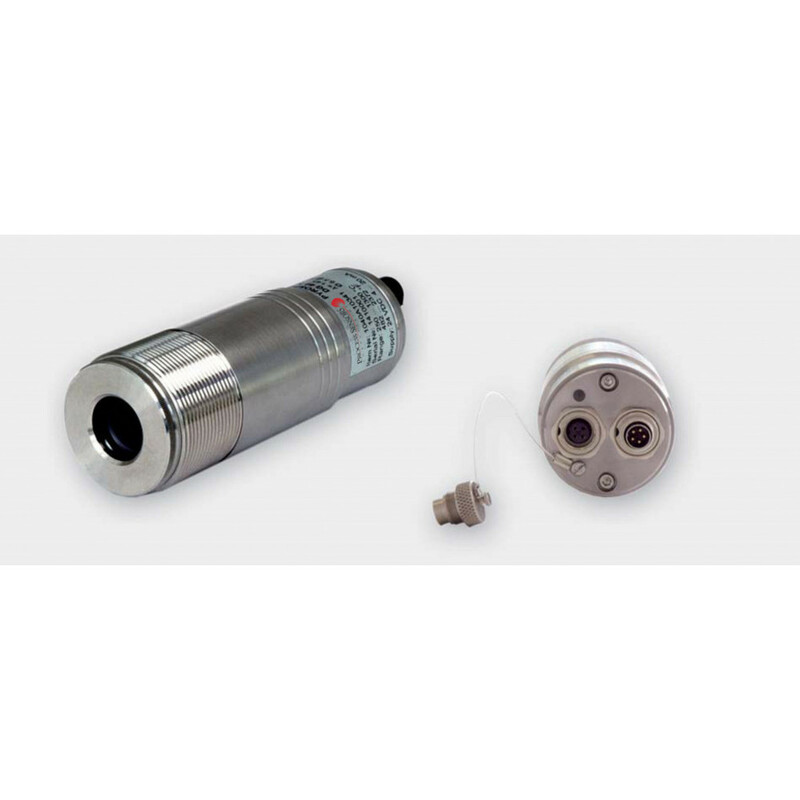 Additionally, the M3 is equipped with a dirty window alarm, which alerts the operator of how obscured the viewing sight path, viewport window or pyrometer lens is getting prior to a level that can affect the pyrometer’s measurement abilities.